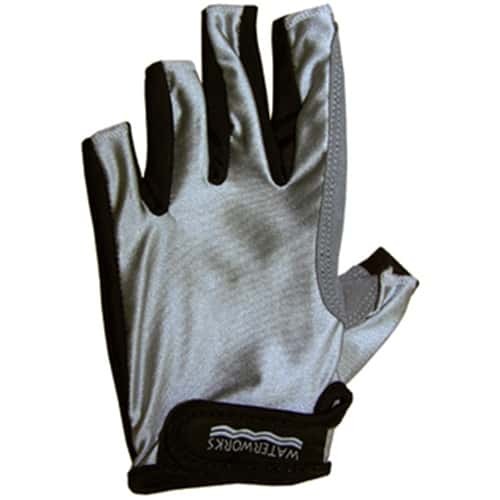 Waterworks Stripper Glove provides both sun protection and line cuts. The Waterworks Stripper Glove protects the first and second fingers from stripping abrasions with a durable four-way stretch material. We saw a need for a high quality glove that could provide sun protection and that could protect from the cuts and abrasions of stripping line. Our Stripper Glove protects the first and second fingers from stripping abrasions with a durable four-way stretch material.